Furla Suria KLCC officially opened its doors to shoppers and collectors of leather goods with a cosy party, attended by the fashion scene’s It-crowd. Designed specially for the Malaysian market, Furla KLCC covers over 1,000 sqft of space, accented with interiors of gold hues and warm light, textured floors and marbled countertops, to complement the fine leather handbags and accessories. Guests like Sarah Lian, Amelia Henderson and Andre Amir took the chance to pose for photos beneath a new hashtag #thefurlasociety, before picking their drinks by JungleBird. 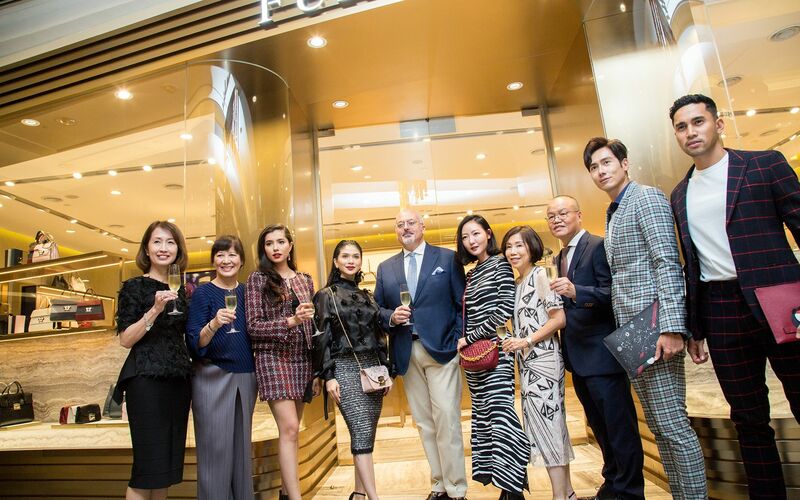 Emcee Hunny Madu kicked off the soiree by introducing Furla Asia Pacific CEO Alessandro Bartoli, who gathered with guest celebrities for an official ribbon-cutting ceremony.